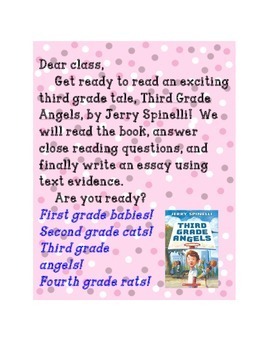 One of my first read alouds this September will be Third Grade Angels, by Jerry Spinelli. 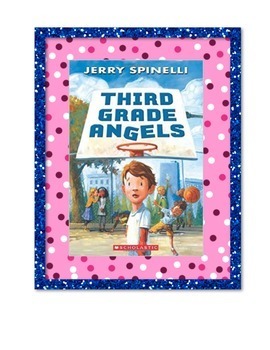 It is a wonderful story to read to your new third graders. 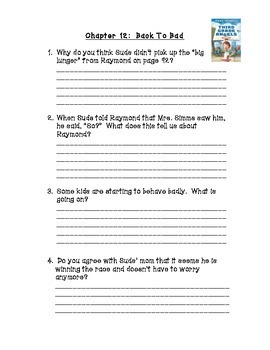 I have created this 30-page Close Reading activity packet to increase my students' listening skills and comprehension skills during the read aloud. ~Comprehension questions (short response, not multiple choice) per chapter. There are 17 chapters in this book. 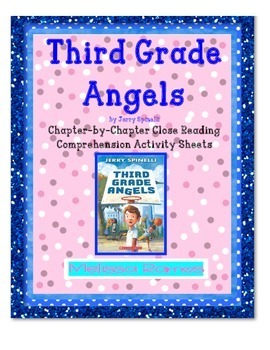 This can also be used for ELA test prep materials (short and extended response).